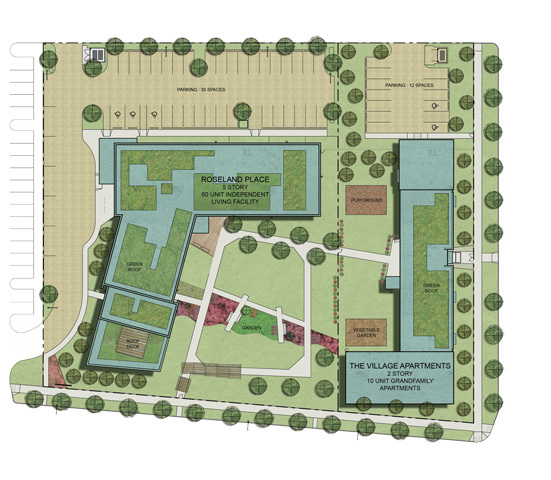 Roseland Place and Roseland Village are both part of a Planned Development located at 104th Street and South Michigan Avenue in Chicago’s Roseland neighborhood. Landscaping and common garden areas work to connect the individual buildings on one site. 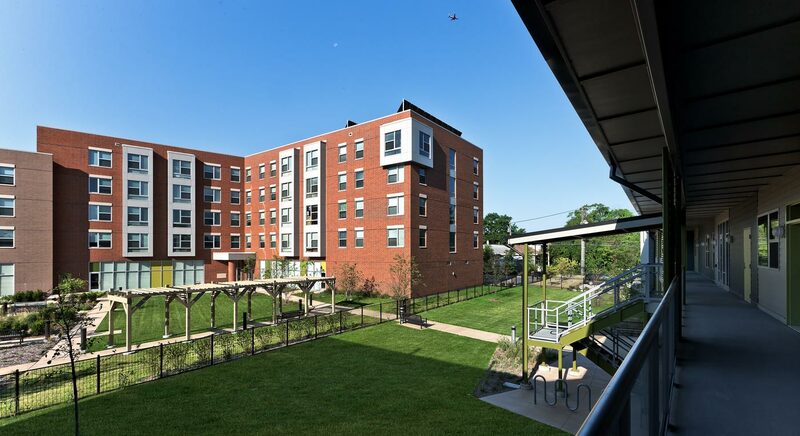 Roseland Place, is a 5 story, 60-unit independent living elderly building. 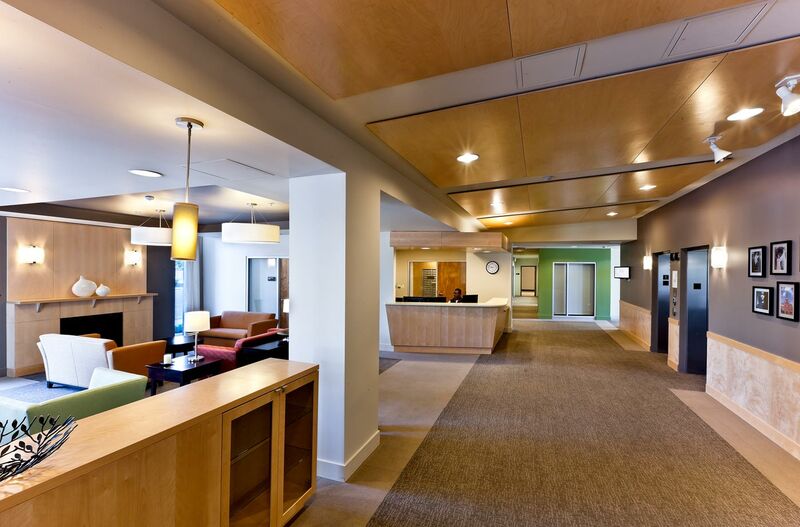 The west wing of the ground floor contains supportive services and community spaces for use by the residents. 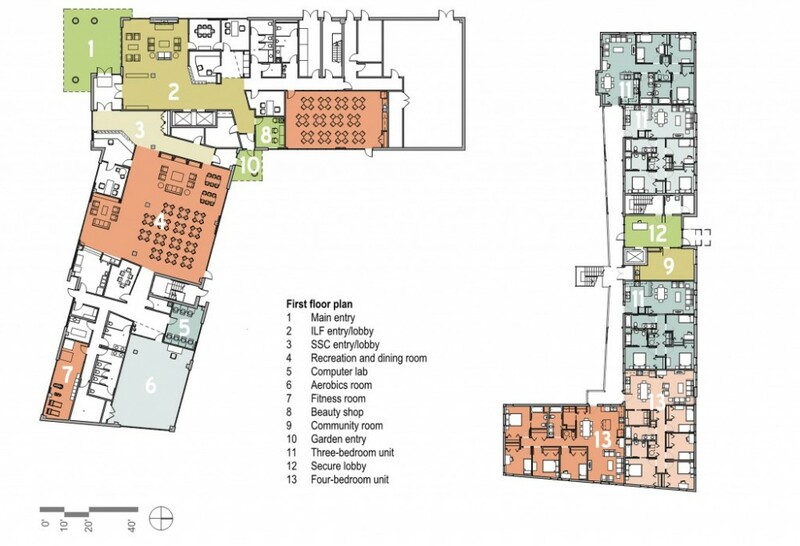 The east wing will be fitted with a Senior Satellite Center open to the public and run by the City of Chicago. 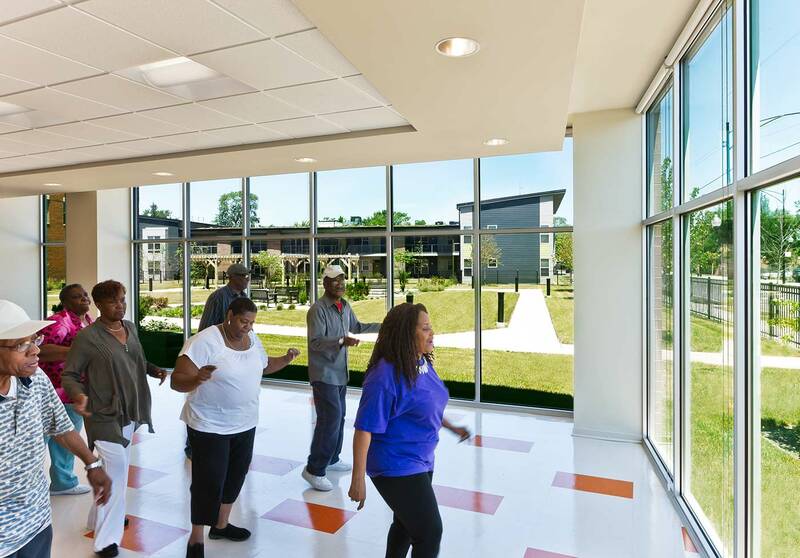 The Senior Center promotes senior wellness education, fitness, and social activities. 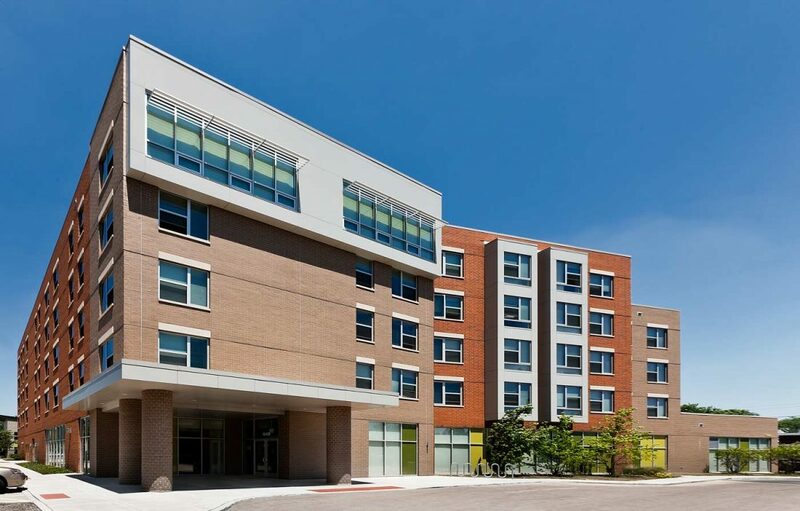 Roseland Village is a 10-unit residential, mixed use building designed for grandparents raising grandchildren. 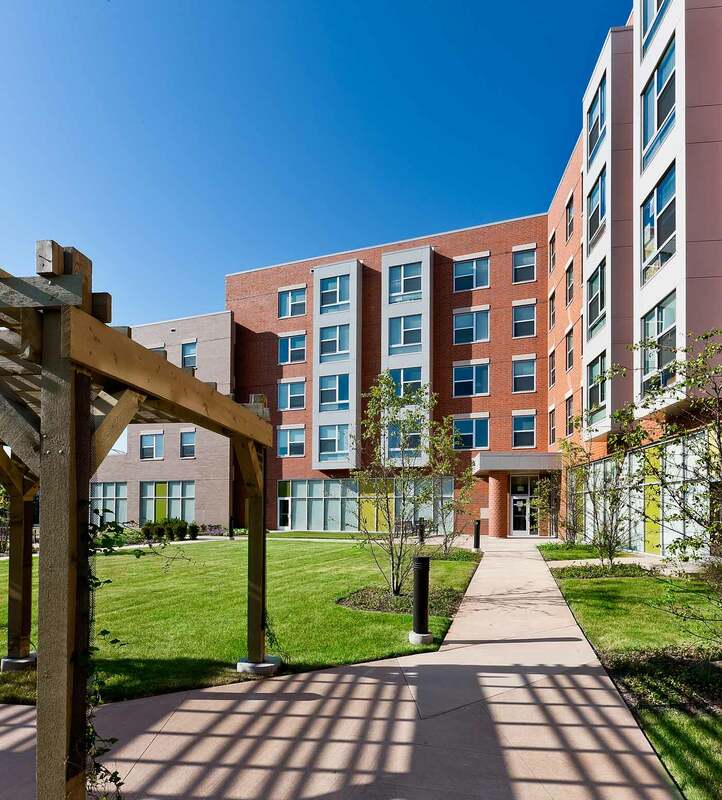 The units are designed without an internal corridor to provide the maximum amount of light and cross ventilation for the residents. 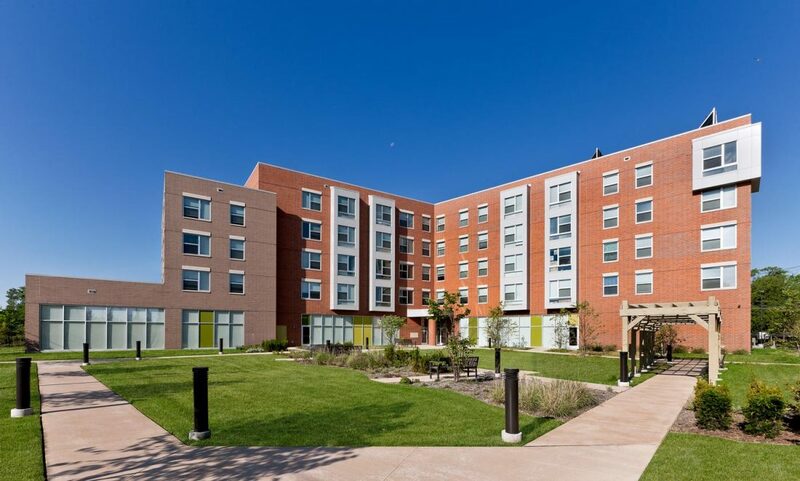 Both buildings are designed with enhanced energy efficiency and will utilize the DCEO affordable housing energy grant to provide additional insulation, air sealing and energy efficient mechanical equipment. 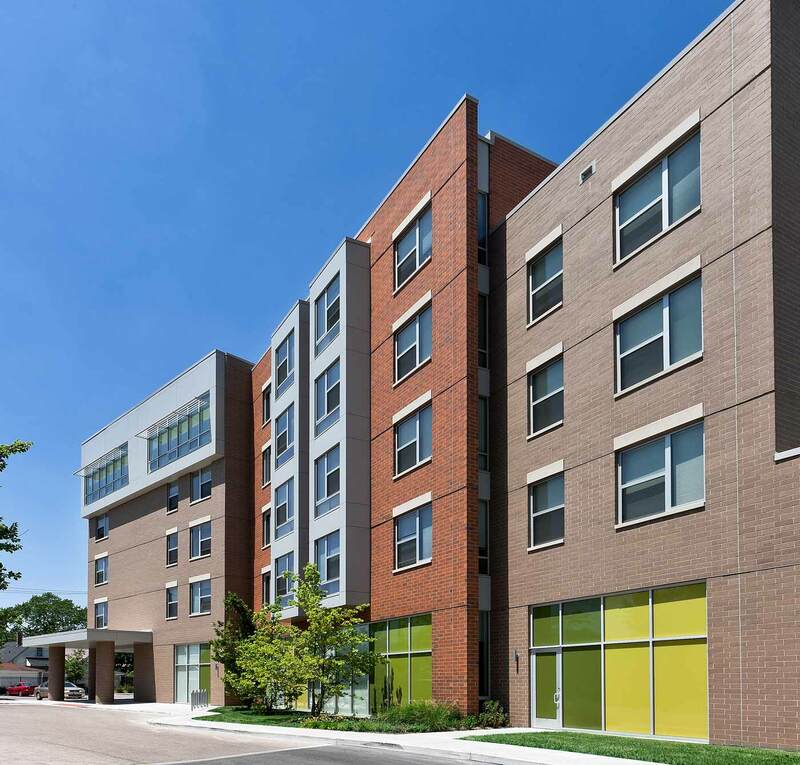 Other sustainable features for the Roseland Place building include: 3 stars on the Chicago Green Homes Checklist; LEED for Homes Midrise Program; and, a 14-panel solar thermal system. 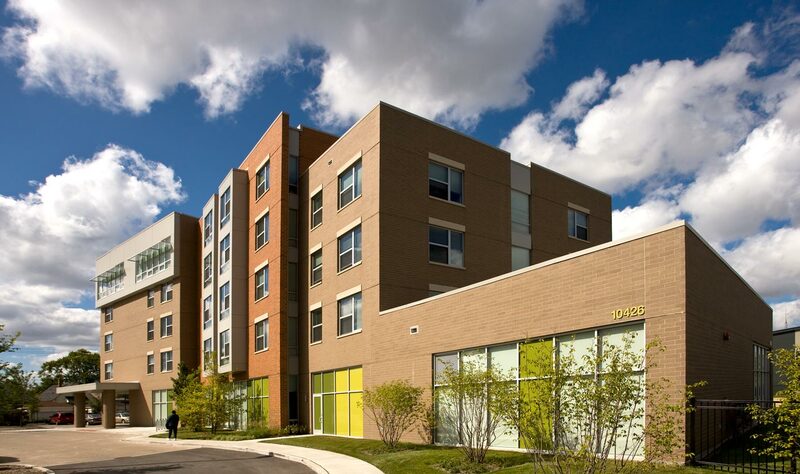 The project is funded by HUD and the City of Chicago Department of Housing.